The Kurdistan Region has two international airports: Erbil International Airport (EIA) and Slemani International Airport (SIA). 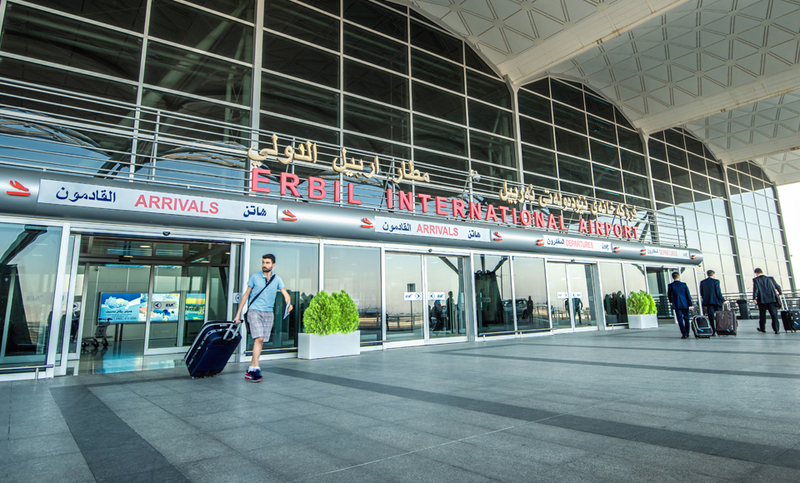 EIA was established following the collapse of the former Iraqi regime in 2003 as the KRG saw the international airports as the Kurdistan Region’s gateway to the world. The first aircraft landed at the EIA on December 15, 2003 and launched air traffic between the Kurdistan Region and the neighboring countries and, in 2005, direct flights started between the Region and Europe. Construction of Slemani International Airport began in December 2003 and the airport became operational July 20, 2005. Iraqi airways operated 56,903 flights in Iraq in 2016 of which 18,978 (or 33%) were from/to Erbil and Slemani airports. On September 29, 2017, the federal government of Iraq imposed a blockade on international flights to and from the Kurdistan Region. The aim of this blockade is to close international air traffic and isolate the Kurdistan Region in response to the September 25 Kurdish referendum vote for independence. Airports are crucial enablers of economic activity in any region and therefore the closure of air traffic to and from EAI and SIA has produced detrimental direct and indirect impact. Government agencies, travelers, service providers and service clients are naturally particularly affected not only in Kurdistan but also across Iraq. Passengers, airlines, cargo companies, travel agencies and other provider and users of different services have been compelled to either cancel their businesses and plans or adopt far more expensive, inefficient and risky solutions. Moreover, closure of the airports has created an immediate and significant impact on the delivery of humanitarian assistance to thousands of internally displaced Iraqis and Syrian refugees in need of urgent assistance in the Kurdistan Region and neighboring provinces. Humanitarian organizations and their personnel are today obliged to reroute transportation of humanitarian supplies through routes that are both unsafe and reduce both the volume and timeliness of humanitarian assistance due to long distances.